I love salads in the summer! From mixed fruit salads to bowls of loaded greens there is something about a refreshing salad. When it comes to salads, there is so such thing as boring! I am constantly inventing new ways for salads to be a main dish or a complimentary side dish for a BBQ. One of my recent favorites is Edamame salad. It is a super easy salad to make with really just a few ingredients and spices. Plus it can be served warm or cold. This is a great dish to go along with grilled chicken or steak or a colorful dish to make quickly for a neighbors BBQ. Start by tossing your frozen edamame with olive oil, salt and pepper. Preheat oven to 350. 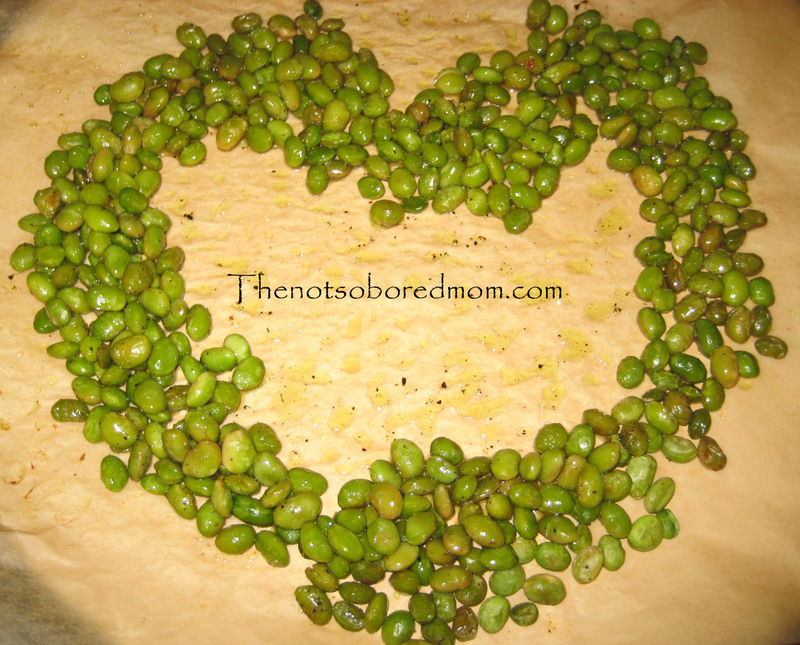 Place edamame on a ceramic baking sheet or a parchment paper covered baking sheet. Roast for 10 minutes. 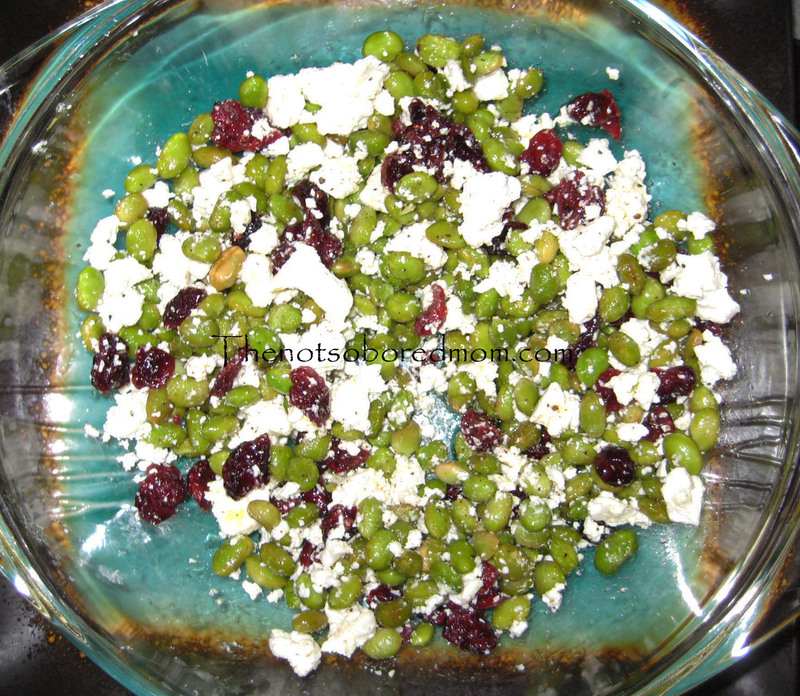 While the edamame is roasting crumble your feta in a bowl with your cranberries. When the edamame is done toss it in the bowl with a splash of olive oil and mix it gently with the feta, cranberry mixture. Serve warm or chill and enjoy! Next postWhat is in your diaper bag? Yes, whatever fruits are available to do pick your own, and add fresh whip cream!